CNBlue's Jung Yonghwa holds exclusive mini concert for Park Shin Hye. In drama 'Heartstrings, Jung Yonghwa's character Lee Shin will hold a surprise concert to comfort girlfriend Lee Gyu Won (starring Park Shin Hye). Gyu Won is in danger because of the evil schemes Heeju and her mother are plotting against her. To protect Gyu Won and to show his love and care for her, Lee Shin decides to sing his heart out for her at a mini concert. The surprise concert will feature a 'comfort song' (위로송). The song will create buzz as much as the song Lee Shin used to confess his true feelings to Gyu Won - Jason Mraz's 'Lucky'. It will convey Shin's warm love for Gyu Won in times of difficulty. The concert will be aired in Episode 12 and 13 of the drama. 늦은시간에도 불구하고 응원와준 반짝반짝홍스타야~고마워T^T감동이야...!! 역시 의리쟁이!!! 짧은 만남이 아쉽지만.. 공연보러갈게!!!! 드라마 끝나고 볼링한게임 고고~~!! 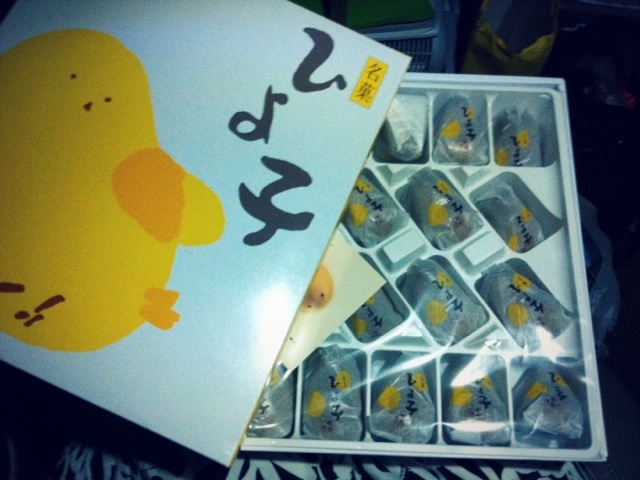 Trans: Shiny shiny Hongstar visited despite the late night~Thank you T^T So touched...!! friendship!!! Sad that the meeting was brief.. will go to concerts!!!! Let's go bowling after drama filming ends~~Go Go!!! you must be wrong . .episode 10 & 11 has been aired . . anyways , ,love PSH . . .
im getting sad already knowing that HS is about to end..this is the first time that i watch an ongoing drama via live streaming..if YAB started my fascination for Kdramas , HS gave me addiction, it affected me so much and I get upsed when I read negative write ups..then frustrated on the poor local ratings.anyway, i will just make the most of what's remaining with HS and enjoy the beautiful OST and the sweetness and cuteness of YH and shinhye...never did i expect that their chemistry will be this awesome...i will surely miss them and hope to see them in FMs and CFs.. I will <3 to know thanks lots! indeed miss them both already.. wish seeing them together more than 15 ep.. such 20 perhaps..
Ahhhh!SoooOo romantic.And full of cares,too.It's such a beautiful couple! Gyu Won is very lucky to has a careful,talented boyfriend and trust and love her with all his heart like Shin.Dooley hwaiting! i am super sad about this. i thank the whole cast and the production for coming-up with this beautiful show, it is so very good, i'm looking forward of seeing this again in our country, the Philippines, i would like you to know that me and my friends are all gaga about this especially lee shin and gyu won, we will miss them, i will miss them terribly. 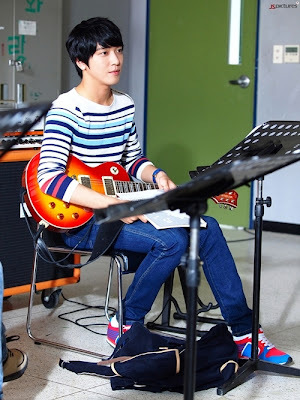 Please tell lee shin that he is so talented and handsome. i look forward for another show like this and wish it would be lee shin and gyu won again. Fighting! Good luck! sad heard about the HS cut into 15 episodes..sigh! !that s why shinhye crying last nite,..yonghwa held a concert to comfort shinhye is he sung with the lyrics"its ok honey,dont worry im always at your side no matter what"??? ooohhmmm im sorry seem my heart and mind FALLEN TO HEARSTRINGS,i thought its yonghwa and shinhye instead of lee shin and gyuwon ...ADMIN and hearties is there some way to restore the said episode..16 episodes not enough and then they deducted 1 huhuhu SAD. YAB made me love Korean drama but Heartstrings made me an addict.I'm so sad that this is coming to an end. I really prayed they would make this longer but with the ratings being so low . I love Yonghwa and Shin hyes portrayal of their characters but didn't expect shin to make me squeak and shrivel everytime he looks/stares at gyuwon. These two have an awesome chemistry and that's undeniable. I don't know why this is not a hit in korea because it's a lovely show and I know they had problems in the beginning but they eventually corrected it. Sad that it was towards the end of the drama when it became exciting. congrats to the whole cast and production team!! this is really a beautiful drama. i feel sad that its going to end soon. aja aja fighting Jung Yong Hwa and Park Shin Hye. Looking forward for another drama that both of you will be acting together. They have a great chemistry! please be a real couple coz IT WILL BE VERY AWESOME !